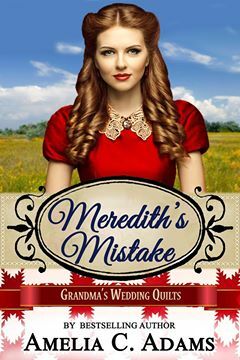 Amelia C. Adams has lived many lifetimes, and is currently enjoying this stretch as the author of sweet and clean Western romance. 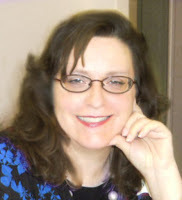 She is the author of the Kansas Crossroads series, the Nurses of New York series, and contributed two books to the American Mail-Order Brides series - with ideas for many more. You can learn more about her and her books on her website. Sidney Atwell looked up from the newspaper as Meredith entered the kitchen, her dress completely soaked around the bottom six inches, holding up several fish in her right hand. “Are you hungry?” she asked him, nodding toward her catch. “Thank you!” She handed off her smelly burden and did her best to tiptoe across the room, hoping that would reduce how much water she left behind, but it was no use. It squelched out of her shoes with every step. It wouldn’t have if Luke hadn’t pushed her into the stream as they walked home. Her shoes would take a day or two to dry out, but she had another pair, and it was worth it to see him laughing and joking again. Only once or twice did he seem awkward about being with her, when something was said that reminded them about the shift in their relationship, and then they were able to laugh about something new. They’d be all right—she was certain of it. She put on a dry dress and a new pair of stockings, then pulled on her house slippers and went back to the kitchen. Jemima stood there, her hands on her hips, looking at the pot of fish now sitting in the center of the table. “And this is why you missed dinner?” she asked. Meredith watched her mother out of the corner of her eye while she heated her soup. True, Jemima wasn’t very fashionable, but she had a quiet strength that made her infinitely beautiful. That was the only kind of beauty Meredith really wanted.